The room POPPIES and 'on the first floor of the mediaval tower and has an external private bathroom. And 'double bedroom available for single use room. 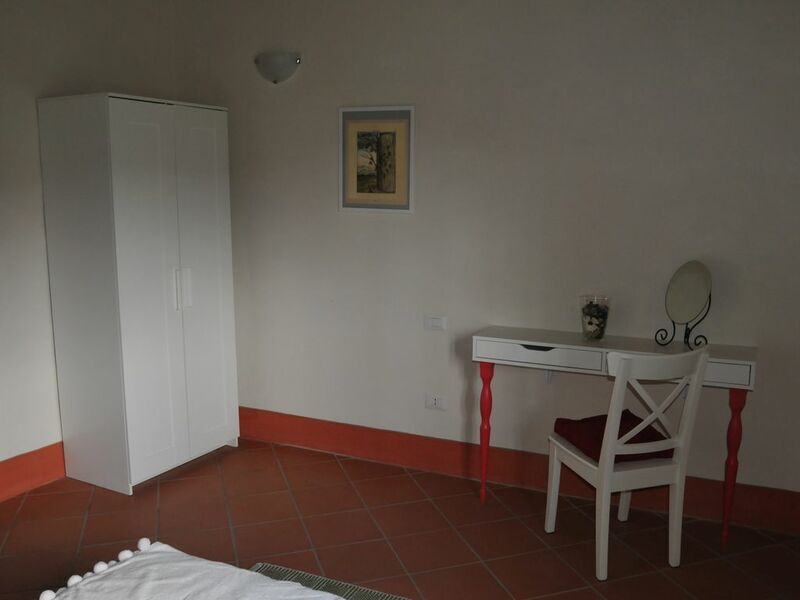 The B & B is located in the green hills of Fiesole, yet only 10 minutes from town. Order to reach the historic center of Florence, without using the car, you take the train from Compiobbi station (1.5 km from home) and in 10 minutes you arrive at your destination.